I am a newbie here. 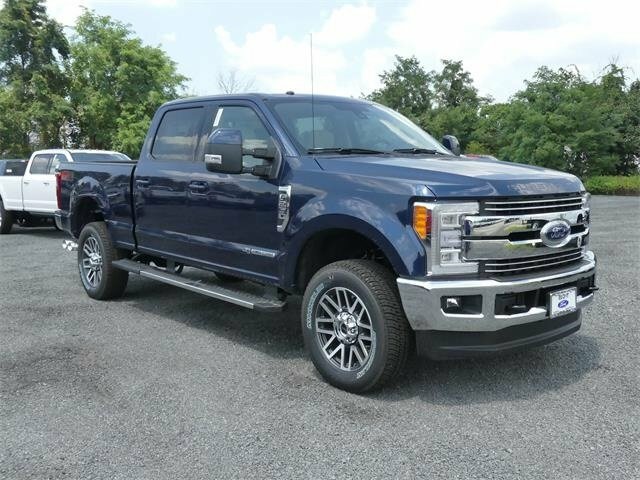 Bought a 2018 F250 Lariat 6.7 recently and am interested in installing an auxiliary fuel tank in the bed. Gravity feed system or use a pump? Should you install a fuel filter on the tank outlet line? I'm having a 60 gallon RDS toolbox/tank combo (aluminum) in my '19. It'll gravity feed to the main tank through a manual valve. No filter. I'll be able to tell you how it holds up after a few years. Transfer Flow seem to all come with a fuel filter - I'm not a mechanic by any means but looking at it and reading the specs on it from oRileys and Autozone, I almost feel that you'd be as well off with no filter . That said, I'm looking at transfer flow simply because of the in-cab control it provides. HOWEVER, I just saw a post on one of the Montana RV forums where Titan has come out with a pump/controller feature as well. I've not seen any posts for or against it as yet so must be really new. I'm going to have to take a look at it, especially given the price differences I've seen. 2017 F450 DRW 4X4 Platinum - Pearl While - what can I say, just can't stop trading up. Thanks for the replies. After looking at all the options out there I went with the AT45RBR - Under Bedcover Auxiliary Tank from ALUMINUM TANK & TANK ACCESSORIES, INC. The price was good and it has an pump/auto fill feature rather than gravity feed. My options ended up being limited as I only have about 16" of space on the bed floor after I installing a 65" long Cargo Glide. I had a 60 Gallon RDS Gravity feed installed in my F250 and am very happy. Cost is much cheaper than the pump units and it suites my needs just fine. It tucks well under the BakFlip and as you can see, I had plenty of space to build a wooden frame over the top of tank to hold straps and misc items. Im sorry I forgot to mention, the weight of the tank when full really made the ride softer. Huge difference between 60 Gallon tank full and empty. 480 pounds (more or less) of diesel when full. I had a titan take in my short bed chevy....loved it. will do the same with my F350 short bed when i get the extra $2K. I think that have one installed in the bed just eliminates too much space for misc. stuff. I finally opted for just carrying one or two of the yellow plastic diesel containers when going where I might need extra fuel. That way I don't lose the storage room forever. But the idea of just pressing a button for more fuel has always intrigued me . . .